Fall & Premises Accident Attorneys, Bronx NY | Kravet Hoefer & Maher, P.C. Fall and premises accidents may occur when the owner of a property or business fails to properly maintain the stairwells, sidewalks, construction sites, and other potentially hazardous areas of their property. Slip or Trip and Fall accidents, while extremely common, (accounting for thousands of claims made each year in NYC alone) have the potential to cause serious injury and even death. If you or someone you love is injured as a result of a poorly maintained property that resulted in a Slip or Trip and Fall, the lawyers at Kravet, Hoefer and Maher will be able to give you the tools and information you need to seek financial recourse. Get the names, phone numbers, and any other contact information you can from anyone who witnessed your accident, or was nearby at the time. If your accident occurred in a store or commercial establishment, be sure to file an accident report with the proprietor. Contact an attorney. 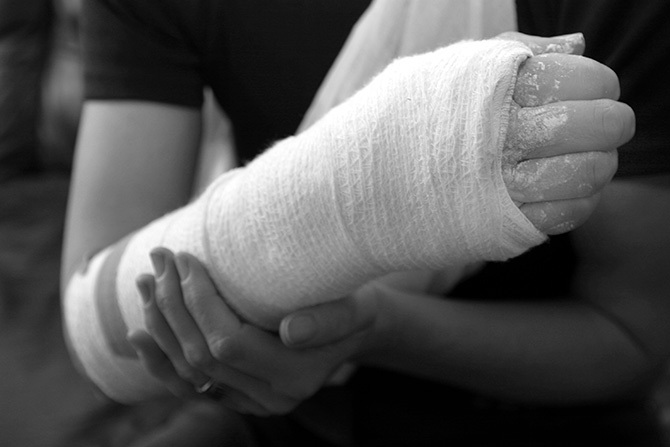 Your injuries may very well be cause for compensation. Make sure to consult a legal professional to explain your options, and assist you through the legal claims process.